The fourth episode of this season brings you a conversation that was not programmed for WOW Festival Melbourne, but instead was recorded separately a few days before the festival opened itself up to the world. In a large warehouse space around the corner from the festival mainstage, artists from Bangladesh, Timor-Leste, India, Indonesia and Australia were busy developing new collaborative works, critical conversations and creative exchanges to be presented at the festival. 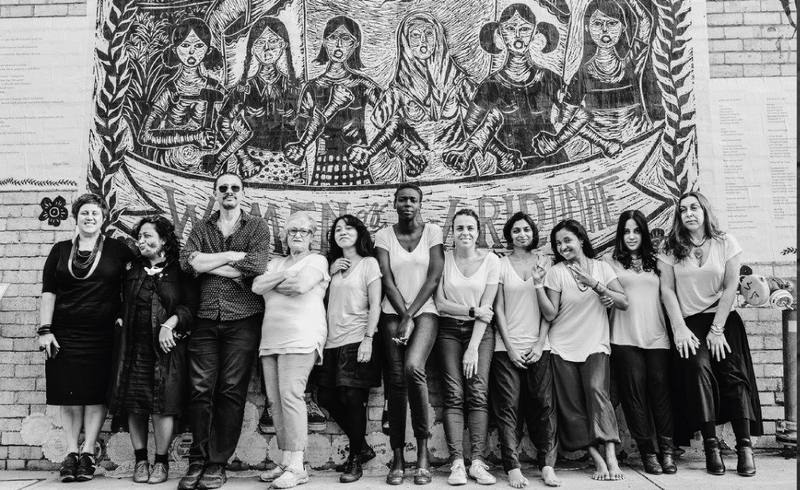 This international residency program, called Women, Art & Politics, is facilitated by Footscray Community Arts Centre’s Collaborate Asia Program and Asia TOPA. All the artists had spent the last few days working together and working a part on their respective practices all exploring the intersection of the concepts within the theme Women, Art & Politics, in their local and global contexts and how they impact their practice and communities. Two of the resident artists, Lena Caminha and Leticia Cáceres, took a break from their rehearsal to record in a small room, just out of reach from the group, but just close enough so you can hear magic being created in the background. speaking English, not speaking English, the women who came before us, learning English in Canada, learning English in Queensland, contemporary feminism, Melbourne vs Sydney (but the West is the best! ), how providing a platform for women is not the same as belonging to contemporary feminism, our husbands, our children, our accents, giving our children unpronounceable names, and what it means to be understood.